Proudly saying, Viking was one of the most civilized eras through the course of history. As we have been researching on the Vikings, we find out some things that we, people of the 21st century, owe to the Vikings. There are much more than an image of brutal warriors and bloody raids. The most outstanding and significant of the Vikings must be their shipbuilding skills. The technology of shipbuilding of the Vikings allowed them to travel in a great distance on the sea before anyone of their time could do. The Viking ships or the Viking serpents at that time were very flexible, fast, and useful for certain purposes. These types of boats helped carry the Vikings to their new lands and make their ambition of changing their life come true. The Vikings also had a very powerful navigational system which was not the Vegvisir though. Their navigator was the sun compass which can identify the position of the sun. Such useful tools provided the Vikings with more chance to explore what was outside their ancestral land. They set their footprint in nearly any land on this planet. The Vikings made their attacks, raids, and formed settlements on British islands, which forever affected the culture and language on the islands. As the Viking and the British interacted with each other, from trading and farming to intermarriage, the two languages mixed together. The most famous word might be "berserk". In the Viking times, there was the legend of the Viking berserkers who would wear the bearskin and fight in a trance-like fury (See Viking Berserkers). 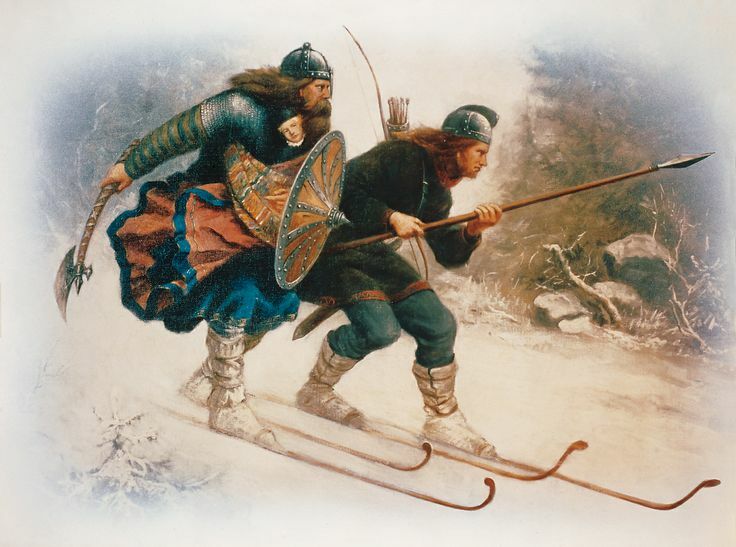 Skiing was very common in the Viking age. The fact was that the Vikings were so much in love with skiing. The word "ski" was believed to have derived from Old Norse "skío". The Ancient Viking would ski across their snowy land for both entertainment and transportation purpose. The Vikings even had a figure in their sage known as Skadi as the god of skiing. Yes, it was comb. The Vikings were not like what many TV series and movies depicted them. They were not 100% dirty and bearded warriors. Rather, they were pretty clean. And in many graves excavated, many combs were found alongside other artefacts. 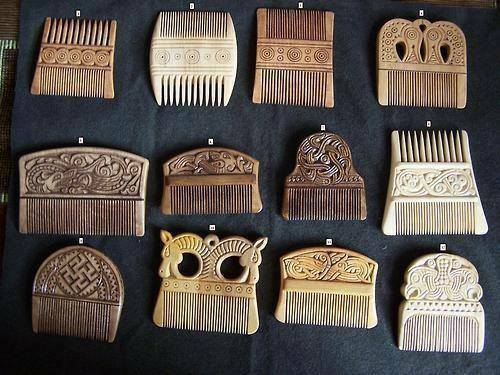 The Viking combs were made of the antlers of deer or other animals that the Viking hunted. Though comb-like tools were invented by other tribes, the common combs that the Western world knows these days owed to the Vikings.